1. Reading a book - I seem to have a never-ending pile of books that I want to read, but I always claim I don't have the time to read them. Instead of scrolling through pictures of other peoples' dinners and Snapchats of girls pouting to rap music before I go to bed, I could be escaping into a book - reading feeds the soul, after all. 2. Playing with your pet(s) - I adore my dog and whilst I give him a huge amount of love and attention, there are moments when I can see he's getting agitated by how interested I am in my phone. I'm sure he thinks it's this evil thing that takes all the attention away from him, and at times, I guess it is. Instead of spending 20 minutes refreshing Twitter, I could be playing fetch with him, or teaching him a new trick. 3. Doing some exercise - Instead of just exercising your thumb, the time spent on social media could be used to go to the gym, do a quick at-home workout or even just go for a walk. There have been countless times I've debated going to the gym, been scrolling on my phone only to look at the time and see an hour has passed. I could have worked out during that time! 4. Writing - Whether it's a new blog post, a chapter of that book you've always wanted to write or simply a diary entry, writing is so therapeutic and definitely something that is worth doing every day. You could easily crack out 500 words in the time you spend day-to-day scrolling. 5. Picking up a new hobby - Whether it's creating a bullet journal, learning to play the piano, taking up crochet or even just starting up an adult colouring book, in the age of social media I think hobbies are a dying art that we need to be paying more attention to. In the time we spend scrolling, we could be learning new talents or getting some well-deserved time out. I definitely know which I'd rather be doing! 6. Calling a friend - Despite constantly seeing what our friends and family are up to on social media, it's rare these days that we spend the time to call up an old friend and have a good hour-long chat. I said this year would be the year I'd make sure I keep in touch with my friends more regularly, and so far so good. Instead of scrolling through your bezzie's pictures, give her a call or a text and have a natter. 7. Learning a recipe - I'm notoriously terrible at cooking, and I tend to get stuck in a rut with what I eat very quickly. Just a quick search on the internet, however, and there are thousands of recipes at your finger tips - so why not spend the time you would scrolling by jotting down the ingredients and whipping up a culinary delight? 8. Watching a film - I have a great long list of 'cult classic' films that I want to watch before I die, but I never seem to find the time to sit down and watch them. That's because I'm spending so much time procrastinating on my phone! I'm definitely going to make more time to watch good films this year, and make it more of an 'event', as I definitely think Netflix hasn't helped when it comes to just casually half-watching things. 9. Doing some self-care - I can't actually remember the last time I did a face mask. True story. In the 15 minutes you spend aimlessly scrolling, you could do a face mask, paint your nails or even do a mini at-home facial! Some very important self-care right there. 10. 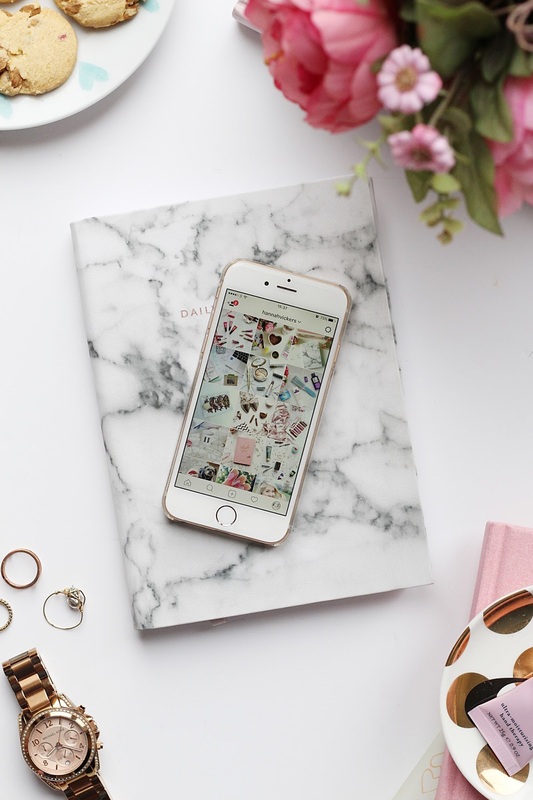 Reading your favourite blogs - Whilst you might be following your favourite bloggers on social media, keeping up-to-date with them on Snapchat or Insta Stories, when was the last time you actually read their blog? I know I'm definitely guilty of just watching people I love on social media but never actually making the time to read their blogs. With the blogging climate right now, I think it's so important we take the time out to read, comment and share blog posts we love - it doesn't take long and can make all the difference. Will you be doing any of these instead of scrolling? Let me know!